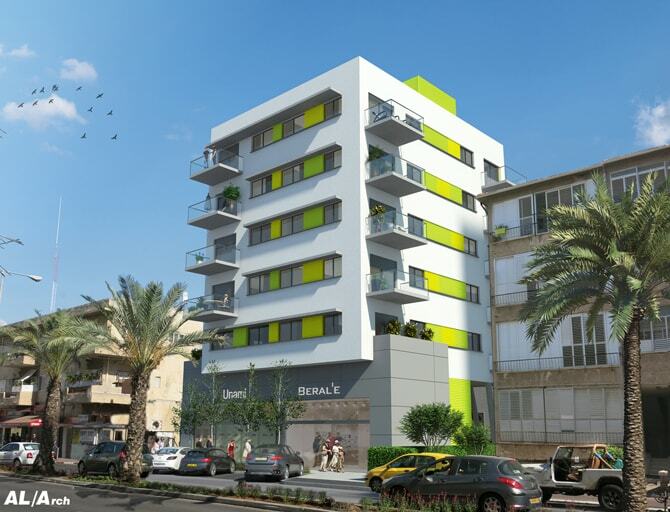 This mixed use building, combining small apartments with a commercial front in its ground floor, will be the first green building for affordable housing in the city of Rishon LeZion. 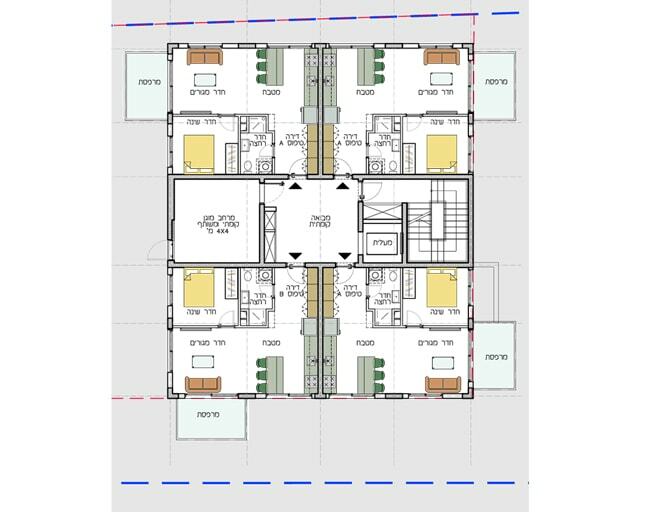 The project is planned according to the Green Building Standard, with 60% of the 20 apartments being sold to residents of the city at a discount. 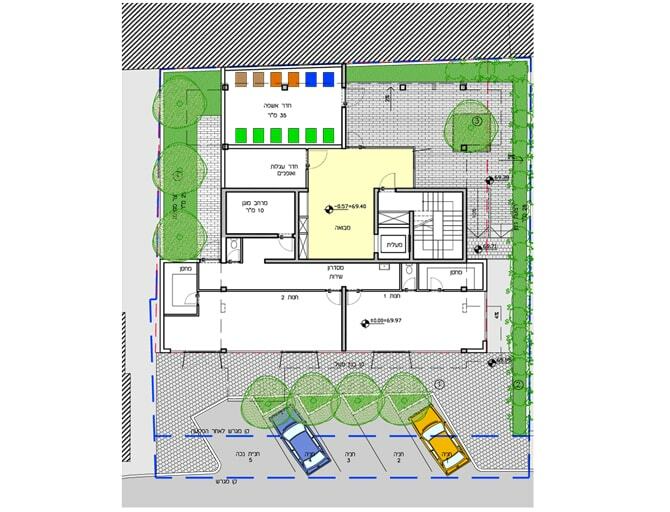 The project was planned from the stage of preparing a local master plan, for increasing the density of housing units and introducing a mechanism for affordable housing.